Welcome to the Cooper-Siegel Community Library Teen Page! Code Club is back! Choose between two sessions, Wednesday or Thursday evenings. Email Brad at wulfkuhleb@einetwork.net to sign up. Learn how to code games, apps and websites with an amazing tool called Prenda! We’re the only library in Western PA that has it! NO WAY! No experience necessary. To get the most from this cool club, plan to join the fun every week! Please bring your own headphones. For ages 8-16. Click here to read the latest issue and learn how you can contribute! Free Drivers Ed. practice tests! 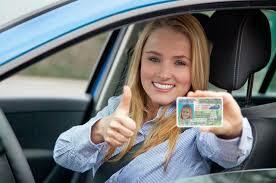 Get ready for the open road by practicing for your drivers test ahead of time, for free!!! Click here to get started. The library provides research assistance and access to computers and the Internet at no charge. There are study rooms and study areas throughout the library. Research help is available from library staff and through online resources.